Digiarty Software hits a milestone by completing a major kernel update on WinX HD Video Converter for Mac, making it one of the first video audio products in the world that support the breakthrough H.265/HEVC video codec. 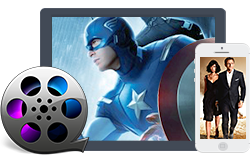 Digiarty announces today its DVD Rippers can fully support for the DVD backup of newly released Captain America: The Winter Soldier DVD. Both DVD ripper Mac and Windows edition can bypass the complicated copy protections like Disney copy protection and fast copy Captain America 2 DVD for personal use. Digiarty Software has paired all the mainstream products with Apple's newly released iPhone 6 and iPhone 6 Plus. The DVD rippers and video converters (for Win/Mac) are also added with new profiles for Samsung Galaxy Note Edge, Note 4, HTC Desire 816, Sony Xperia Z3 and more. Upon the rumored new Apple product release date, Digiarty Software gears up for the arrival of iPhone 6 and pulls the trigger on a DVD to iPhone ripper giveaway that is valid before Sep.15 for offline movie enjoyment on iPhone 6 and iPad in days to come. Digiarty Software, the top-of-the-line multimedia software developer company, has extended support for converting MXF file to AVI, MP4, MOV, WMV and other video formats in the most recent update of WinX HD Video Converter Deluxe. Digiarty Software launches the 2014 Back to School Giveaway to warm up a new school season in advance. A $49.95 mobile video converter program is the main push of the activity and is being awarded to students, teachers, educators and parents worldwide. Digiarty software launches a Disney movie page designed for collecting latest Disney movies and offering free and easy Disney DVD ripping and copying solutions on Windows and Mac. Digiarty Software indicates its confidence in CD/DVD ripping legalization in UK and wishes to soothe British citizens with detailed media format shifting solutions after the decriminalization of ripping DVDs to MP4/AVI/WMV/MOV videos. Digiarty Software has fueled the growth of its top-rated DVD ripper and video converter (both Windows and Mac editions) with the support for Samsung Galaxy S5 mini, HTC One M8, Chromecast, Surface Pro 3 and more new devices via a major update recently. Digiarty today singles out top affiliates in the first half year and announces the rollout of 2014 Top Affiliate Award Contest. This affiliate contest aims to reward the top one affiliate with lifetime 70% commission and 5% cash rebate on profit, who fulfills the most sales from Jan.1st to Dec.31st, 2014. Digiarty Software Inc., an influential digital product maker, kicks off the 2014 FIFA World Cup deals. The price of a full-version WinX DVD Ripper Platinum undercuts the regular price by half and a 2014 World Cup Gift Pack shows off at the largest discount. Only valid during FIFA World Cup 2014, the promotion is scheduled to end on July 20. Digiarty runs the new attractive giveaway of all-in-one YouTube video downloader and converter to GOTD subscribers during the period, June 6-8. Users can free download and convert videos like 2014 World Cup videos with it for playback on iPhone, iPad, Android phone/tablets on the go. Digiarty Software has scooped up an annual summer holiday software pack consisting of a DVD ripper, a video converter, a DVD cloner and a multimedia streaming gift. It is to students and travelers' liking in particular, according to the internal source. Now the retail price of WinX Summer Holiday Video Pack is up to 75% off, lasting until July 20. Digiarty Software today kicks off tips warmheartedly on the occasion of Father's Day. The tips mainly focus on how to prevent watching World Cup overnight, and are suitable for male football fans and thoughtful people who want to scoop up a special gift for parents. 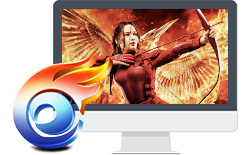 Digiarty Software Inc. today adds a basic yet important feature – direct YouTube video downloading, in WinX HD Video Converter Deluxe. After updating to the latest version, users can choose to download the original online videos only and override the conversion process to save more time. Digiarty Software is digging deep in affiliate marketing through social media channels and recently shares valuable YouTube marketing tips with its affiliates. At the same time, Digiarty also invites all YouTubers to join together and to make more money on YouTube. Digiarty's Mother's Day Deals that commenced on May 5th composed of varied DVD and video software coupons will close at 12:00 P.M., Eastern Time, on May 12th. A 75% off video software pack, a more than 50% DVD ripper and HD video converter and a free DVD author are included. To commemorate Mother's Day, Digiarty today delivers WinX DVD Author as free gifts for Moms until May 12, 2014. It allows users to burn DVD from camcorder, webcam, YouTube videos regarding maternal love or gratitude to mothers with ideal video audio effect. Digiarty Software today highlights an important update in WinX DVD Copy Pro, distinguishing itself from the previous versions with the biggest ever user experience improvement in details, without skipping over configuration files and prompts. WinXDVD Software announces a more progressive After-Easter giveaway as WinX DVD Ripper Platinum just gets updated with support for extra languages. The freebie is serving customers in Germany, France, Italy, Spain, Portugal, Denmark and Norway in their languages better. For a special Easter gift idea, Digiarty starts seeding 500 free copies of WinX DVD Ripper Platinum, the dream software of many people, per day before April 28. It is the accelerated and renovated DVD guarding instrument capable of ripping any DVD to Galaxy S5, iPhone, iPad, Android Tablet, etc adroitly. Digiarty has hurdled over one of the most sophisticated DVD copy protections on Disney movie Frozen in the latest version of WinX DVD Ripper Platinum built on March 24 impeccably. It is proved to be the forerunner to rip movie DVDs Frozen and The Hunger Games 2 that have attracted rave reviews (for personal use only). Digiarty Software announces the continuation of rendering a service to Window XP users in DVD ripping/copying/burning, HD video conversion/downloading, movie streaming, etc. This solid promise comes with a rebate offer embodied in the all-in-one 2014 Spring Gift Pack valid before April 10. Digiarty Software, a key component of various multimedia programs in the market, sparks off the most favorable DVD duplicator software discount. The full licensed WinX DVD Copy Pro with lifetime free upgrade permitted is retailed at only $19.95, the minimum price in the history for revivifying springtime. WinXDVD Software starts channeling 50K full license codes of WinX DVD Copy Pro, worth 2.5 million Dollars totally, into its Spring Giveaway, the first large promo of the year. It is the latest version of PC program adept at cloning recently released DVDs like Gravity, Thor 2: The Dark World and Dallas Buyers Club for fair use. Digiarty Software announced a 50% overall conversion speed surge in WinX DVD Ripper Platinum, one of the fastest DVD ripper in the market, with a major update release of V7.5.0. Besides, it now supports forced subtitle and 2CH encoding. Digiarty recently confirms the perfect fit for 4K resolution in its free YouTube downloader and top-rank Windows and Mac Video converters. It means that 4K ultra HD videos can be downloaded from YouTube free and then converted to other videos. The configurative compatibility degree in WinX DVD Copy Pro, a promising DVD clone program, has been maximized by the developer company Digiarty. It signifies a dramatic leap in the DVD to DVD burning function on the higher versions of Windows OS.